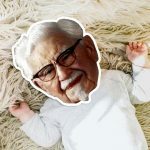 Well, what do you know? 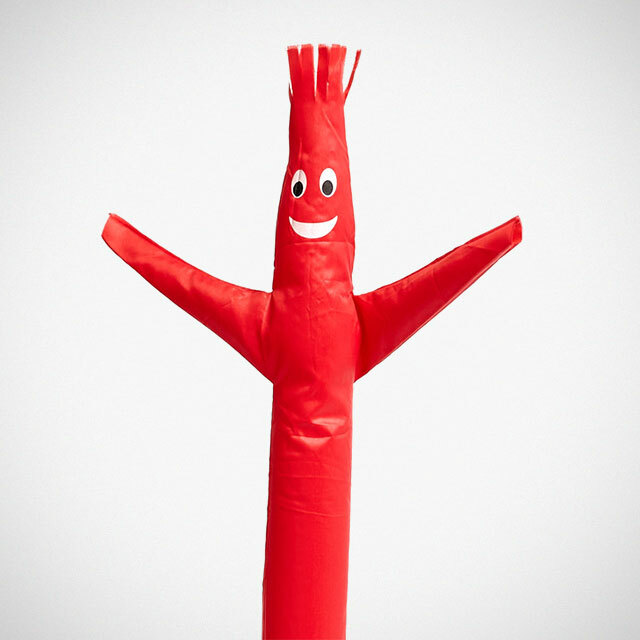 The wacky dancing tube, AKA inflatable tube guy, you see decorating events or used car lots is available for homes too. 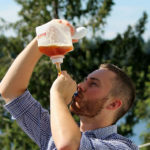 I am not even kidding. Thankfully, though, this home version is not the same size as those you see lining the entrance of building of some business’ closing down sale. It is much smaller, or should I say, it is desktop kind of small. 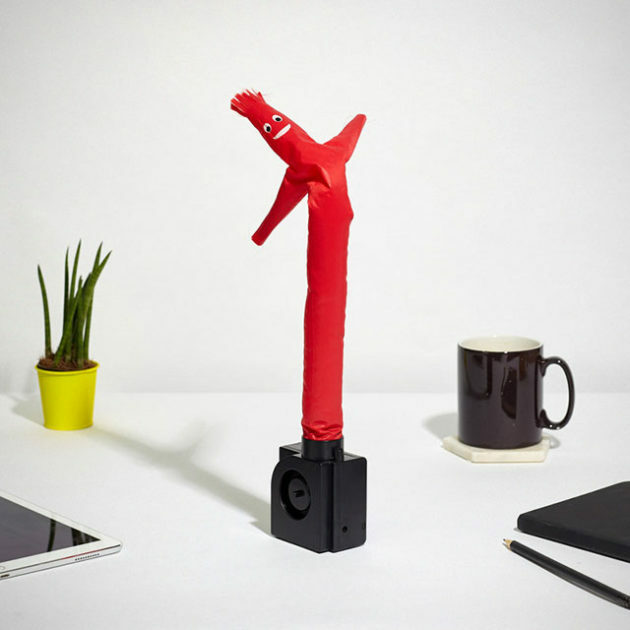 Wacky Waving Inflatable Tube Guy may be a miniature version, but it is not quite tiny; at 18 inches (nearly 46 centimeters) tall, it towers over most stuff on your desk. In other words, like its larger counterpart, is made to draw attention. 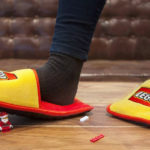 Perfect for any attention-getter who prefers to relegate the attention-getting task to someone else, or in this case, something else. It is described as first of its kind and as far as we know, it indeed is. 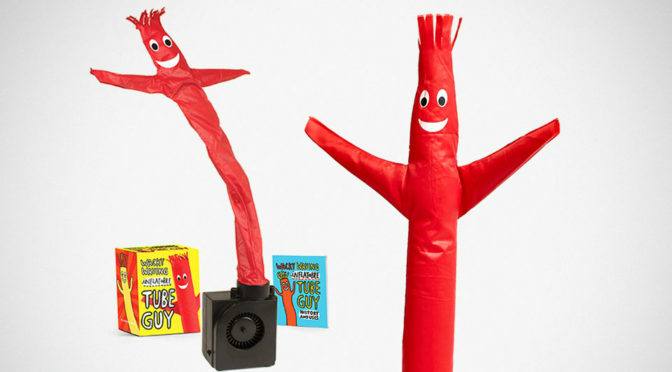 Anywho, Wacky Waving Inflatable Tube Guy is actually part of a publication, a book by Conor Riordan published by Running Press (Running Press, ISBN-13: 978-0762462872). It comes with a 32-page mini book (it is REALLY mini! ), with illustration by Gemma Correll, that explores the origins of this often took for granted modern day icon. 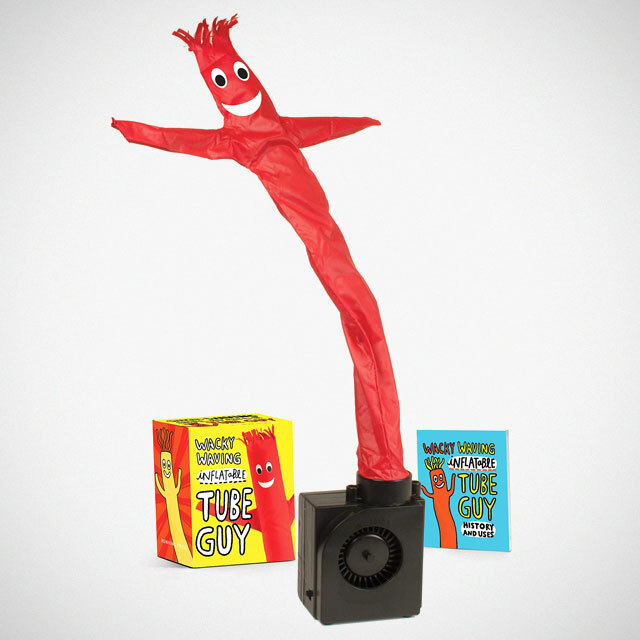 You can find Wacky Waving Inflatable Tube Guy is available at Amazon, Barnes & Noble, Firebox as well as Walmart and sells for $11.66-13.99, depending on retailers.